At Minnesota Top Team we offer boxing classes in Eagan MN for Kids (ages 5-9) and youth (ages 10-13), Adult (ages 14+). We also have a Boxing Competition team for the advanced and serious boxing students. Our classes are tough and challenging but fun and safe in a very welcoming environment. 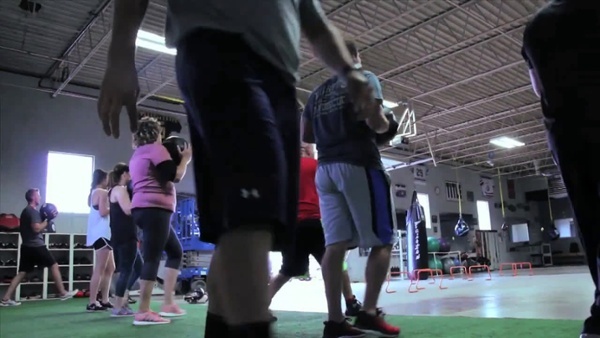 Check out the BOXING CLASS SCHEDULE and stop in any time for your free boxing workout. legitimate boxing training and conditioning. 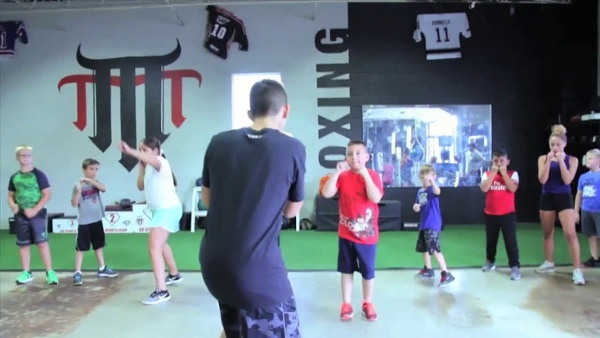 Our kids boxing classes provide a fun physical activity in a safe learning environment. Your kids will learn the physical benefits of boxing conditioning with cardio exercises, bag hitting, hand mitts, and boxing technique drills all while having fun with an engaging coach. Boxing training is a great confidence builder for all ages. Classes for ages 5-13.
approved gloves, and groin protector. To spar at our gym you must have a valid USA Boxing Book. Boxing is in principle a sport more than a martial art. There are few martial arts that are as focused on fist strikes. Fighters are well known for their fantastic footwork and the manipulation of angles to beat their opponents; these two aspects combined make boxers very dangerous in fights. Considered one of the best exercises for stamina, breathing, and hand/eye coordination, it is a great way stay in excellent shape.